Looking back on my involvement in startups, I often wince at some aspects. It took me years of trying to unsuccessfully breathe fire, passion and urgency into teams of various co-workers to finally understand that this rarely works. The answer also was not for me to dial down as a few were always trying to make me do. The study of executives over 10 years found that someone in the “flow” can essentially do in one day what often takes others five days to accomplish. Most of all it was hard for me to learn that everyone doesn’t want to reach that state and that I had to work harder to select employees who did, especially those who already grasped what it meant and thrived on challenge. Because everyone, though, cannot always be in the flow, Kotler blogs in Harvard Business Review that what is crucial to flow is finding the right ratio of challenge and skills. Many seem not only lost in but content to be in a near-constant state of “frazzle,” including manufacturing un-work related distractions that go far beyond the 75% on average of all workplace distractions that have nothing to do with work. It is a “sweet spot” according to Kotler. Researchers who are part of “The Good Project” have found that only 1-in-5 workers who are engaged get there once a day or more. Productivity goes through the roof if you can get everyone on a team into a state of “flow” once or twice a week. For those who are high motivation-performers that challenge is teaching them to modulate so they don’t overshoot “flow” and risk burnout. 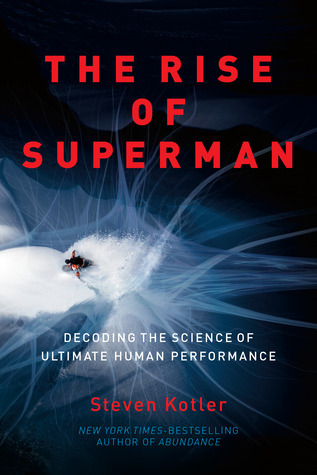 Of course challenge/skills ratio is just one of seventeen triggers to flow noted in Kotler’s new book entitled The Rise of Superman: Decoding the Science of Ultimate Human Performance. Part of Kolter’s new book reviews scientific findings about the drivers of motivation. After basic survival needs, they include autonomy - the desire to direct our own life, mastery – the desire to learn, explore and be creative, and purpose – the desire to matter, to contribute to the world. “It gives you reason to live – but live this way long enough and those reasons become more important than dying.” Kolter warns that being fully alive and deeply committed can become a risky business if not managed. Learning to manage it is as important as reaching it. All of this of course comes too late for my now concluded career. But it does help me understand that the flow that still inhabits me during the six or so hours I spend researching and writing for this blog each day is a gift that, while rare, can still be cultivated. Hopefully this one breathes a little fire.